Ascending Butterfly: Macaroni Grill Entrees Review and Giveaway! This giveaway is now CLOSED. Thanks so much to our wonderful sponsor Macaroni Grill via My Blog Spark! We look forward to working with you again! The winner has been notified and upon confirmation, follower name will be posted both here and on our homepage. Remember: There are great giveaways active on the upper right hand side of the page Where it reads “Today’s Butterfly! Win Here’! It's been pouring rain for the last couple of days here, giving me a major case of the 'rainy day blues'. The last thing I want to do in a heavy torrential downpour of rain is fuss with an elaborate meal after a busy day or go out to a restaurant and brave slick roads and dangerous driving conditions. So the best solution is to have the restaurant come to me! Literally, the restaurant came to me thanks to my friends at My Blog Spark and the new Romano's Macaroni Grill frozen entrées, I got to have an Italian Dinner at home and not have to brave the storm outside, or face the extra expenses of delivery or take out! I was sent the Basil Parmesan Chicken entrée. 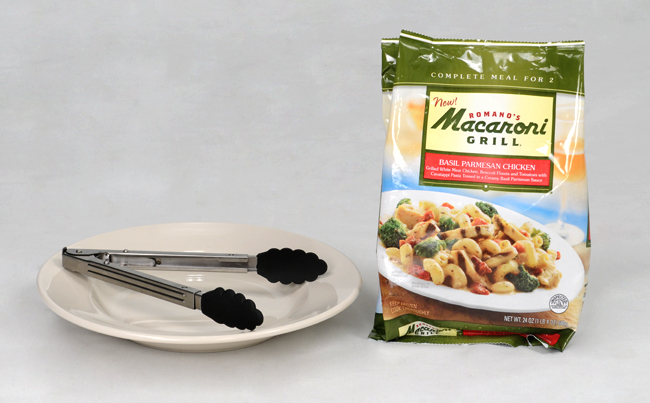 Grilled white meat chicken, broccoli florets and tomatoes with cavatappi pasta tossed in a creamy basil parmesan sauce. Is your mouth watering yet? I greatly enjoyed it. It was very easy to prepare and I was very grateful not to have to cook and deal with multiple pots and pans and a big clean up afterward or even have to go out and brave the rain storm. I will admit I did 'doctor' it just a bit, because that's just who I am in the kitchen, and I did add a bit more of my own cooked chicken to it because it was more than just me eating it, and I didn't feel it was enough chicken. And I also added just a pinch more fresh Basil to it. This frozen entrée definitely piqued my curiosity and I plan to buy a few more and stock up so I have some on hand for those nights I don't feel like coming home and facing the kitchen after a long hard day. Read on to find out how the Restaurant can come to you too! Ƹ̵̡Ӝ̵̨̄Ʒ - WIN IT! - Ascending Butterfly and our friends at Macaroni Grill would like to provide 1 Ascending Butterfly Follower with a Macaroni Grill Frozen Entrée & Prize Pack of their own! Flavor will be selected by the sponsor and frozen entree will arrive on dry ice, winner must be home to accept delivery. Don't you just ♥ Macaroni Grill? Ƹ̵̡Ӝ̵̨̄Ʒ - How to Win: (1) You must be a PUBLIC follower of Ascending Butterfly to be eligible for this and all giveaways. Indicate in your entry that you follow (if your 'comment name/user id' differs from your profile id, please let me know what name you follow under) and (2) Visit Macaroni Grill and let me know what flavor other than the review flavor you’d pick to try! You can also print out a coupon for $1.50 off if you can't wait and just have to try it NOW! (3) You must also leave your email address somewhere in your comment. (You can format it this way for security, example: ascendingbutterfly AT mail host DOT com). (If your email is clearly visible in your profile, you can just say so, that's OK!) Please follow the easy 1, 2, 3 steps to winning (or in this case, the A,B,C’s of winning!) This giveaway is open to USA residents who are 18 years of age or older. No PO Boxes. FTC Disclosure Info for this Giveaway: This is not a paid insertion. This is a non-compensated post and all opinions regarding the products are expressly my own experiences. 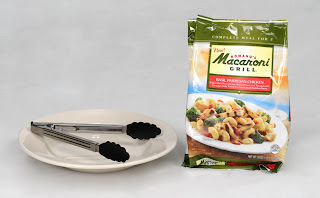 I was provided the Macaroni Grill product via MyBlogSpark to facilitate my review and for the giveaway. The sponsor is fulfilling directly to prize winner(s), this in no way influenced my opinion of the product. Once a winner is selected and their information has been forwarded to the sponsor, the responsibility of prize fulfillment rests with the sponsor. the Roasted Garlic Shrimp Scampi sounds (and looks) awesome! thanks! I am a GFC follower (furygirl3132) and I would love the Roasted Garlic and Shrimp Scampi. Thanks so much for hosting this great giveaway! and I wrote on their wall that you sent me! I'd like to try the Spicy Italian Sausage Pomodoro. Like Macaroni Grill on Facebook and posted on their wall you sent me. I follow you publicly with GFC. I would love to try the Basil Parmesan Chicken! 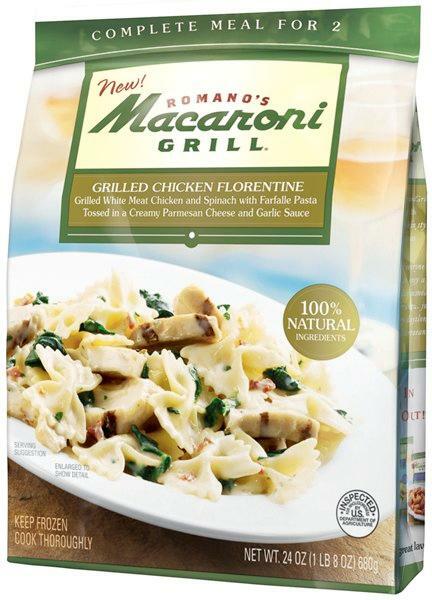 Like Romano's Macaroni Grill on FB. Left comment that Ascending Butterfly sent me. I'm a gfc follower and I would like to try roasted garlic shrimp scampi. The Spicy Italian Sausage Pomodoro sounds fantastic! Yum!